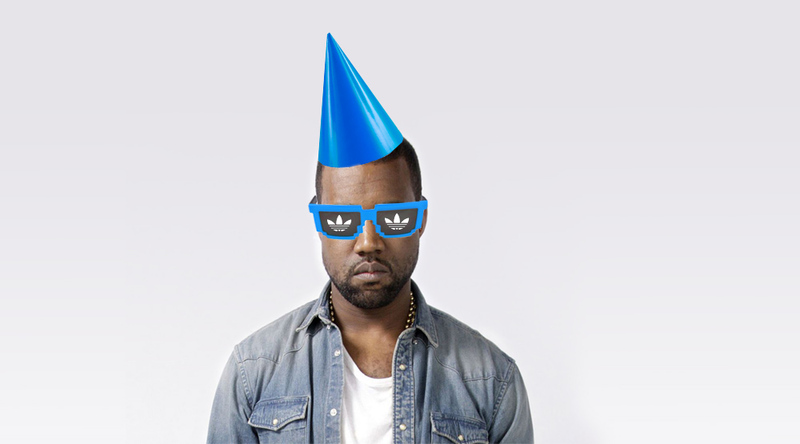 Have a look back at Kanye's first year with adidas. Exactly one year ago, Kanye West set the sneaker world into a frenzy when he announced that he’d signed a design contract with adidas. 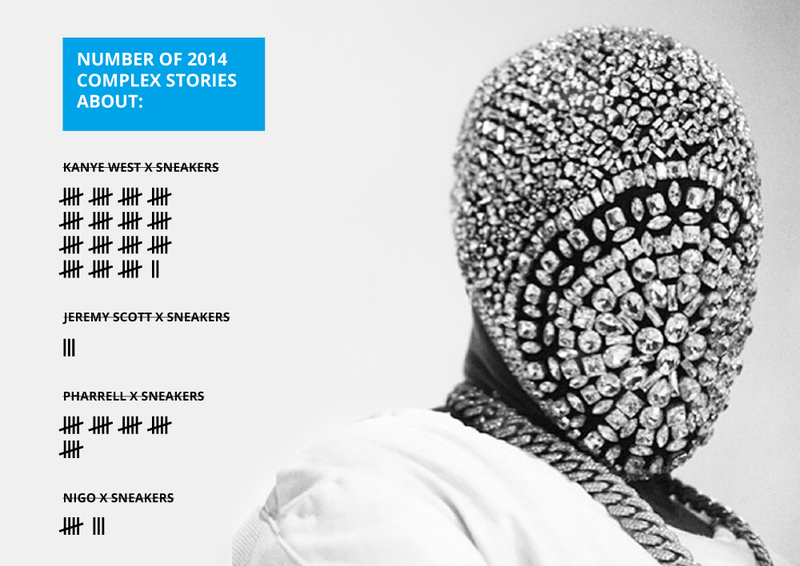 It was one of the biggest sneaker stories of 2013, and hasn’t slowed. There’ve been a number of stories (both true and untrue) that’ve come out of the rumor mill since Kanye’s move over to the Three Stripes. 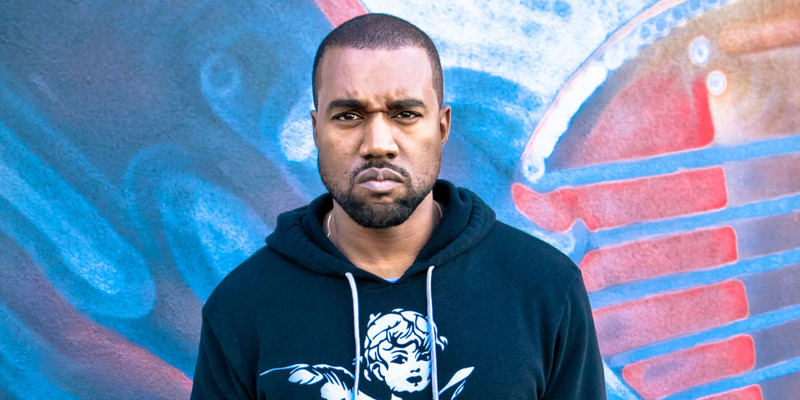 Some of these rumors, which have come from Kanye’s mouth himself, have proven to not happen. Despite this, the transition has still affected the sneaker world. At the very least, it’s led to some positives for adidas. For the first time in a long time, adidas are being more and more accepted a viable alternative by sneaker collectors to market leader Nike. West’s presence, along with a strong series of designs like the ZX Flux and Pure Boost, have brought more attention from the sneaker community to the brand than any time in recent memory. It’s also apparently made a behind-the-scenes impact as well. In September, three of Nike’s most well-known designers announced their departure from the Swoosh, and will be heading up a new adidas design studio in Brooklyn set to open in 2015. Yet, as all of these positives were beginning to pan out for the future of the brand, adidas lost its number-two spot behind Nike to Under Armour, falling to become the third biggest athletic brand for the first time. But in some ways, it’s had zero impact. Last year at this time, the most anticipated releases for the rest of the calendar year included Black and Red Air Jordan 1s, and the Gamma 11s. This year? Black and Infrared Air Jordan 6s, and Legend Blue Air Jordan 11s. The biggest signature lines were dominated by Nike, and included LeBron, KD, and Kobe, while Derrick Rose sat out hurt. This year, DRose is on court at least some of the time, but the status of signature lines has changed very little, with Kyrie Irving set to give Nike another boost with the upcoming launch of his first shoe. Kanye himself hasn’t exactly been the best endorsee either. His penchant for being involved with the Red Octobers long after their release, and still wearing non-adidas sneakers like Margielas on stage, has left him open to criticism. Ironically, we are in a very similar place to where we were with the Red Octobers at this time last year. We knew they existed, but its promised delivery came and went leading many to wonder it would ever see the light of day. In the months since Kanye’s jump, we’ve seen high profile collaborations with both Pharrell and Nigo go all the way from announcement to retail, with multiple collections already having been made available. 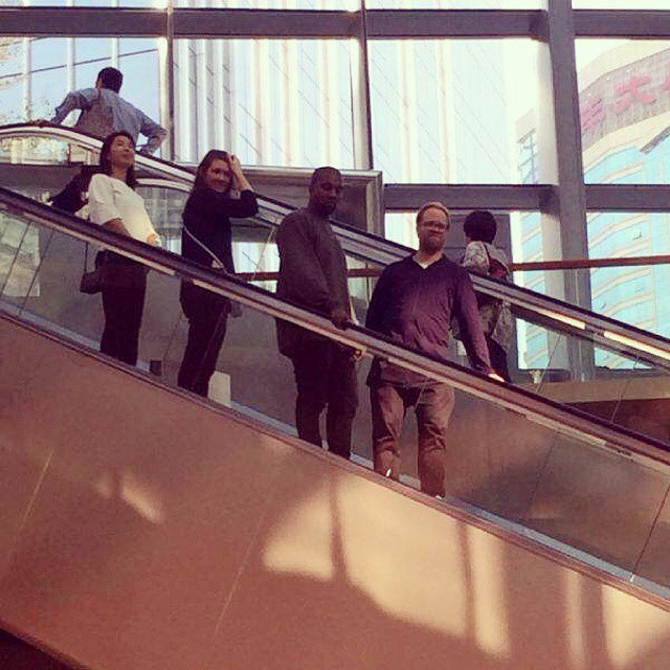 While we still wait, we’ve discovered Kanye is currently overseas working on the shoe. Knowing that China is often a country of manufacture, it’s reasonable to deduct that the development of the shoe could be in its final stages. Could its unveiling and subsequent release finally be on the horizon? 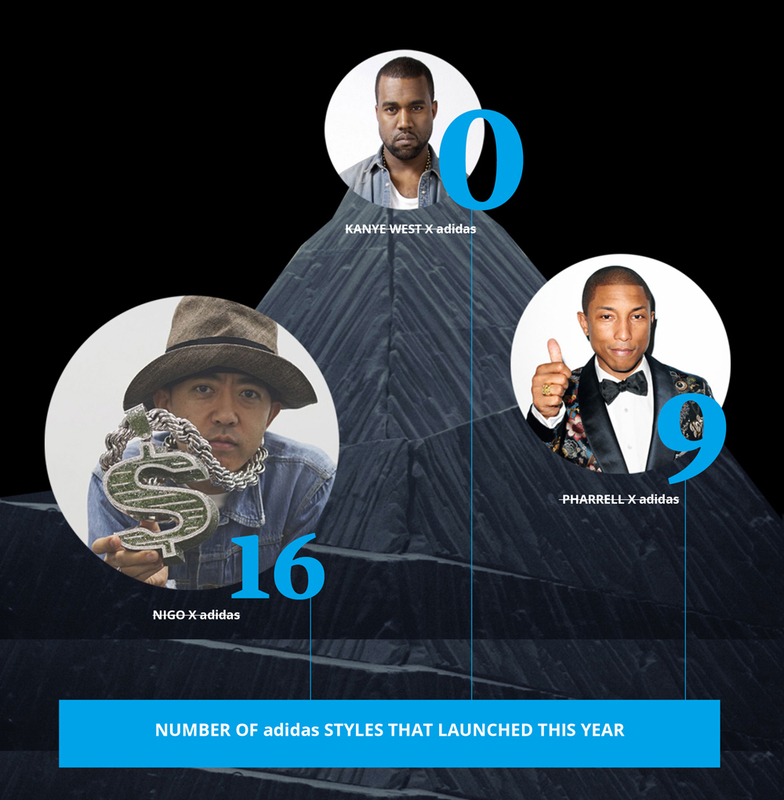 Only time will tell, but for now, let’s take a look back through the first year of the Kanye and adidas partnership. Following much speculation, Kanye broke the news himself in an interview with Hot 97's Angie Martinez, that he had signed with adidas. 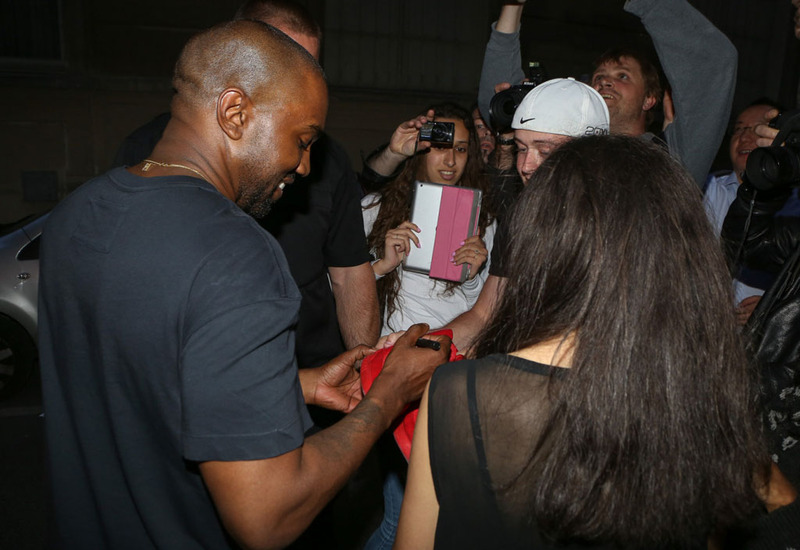 A week after Kanye’s announcement, adidas made the news of his signing official. Greg Selkoe, owner of online retailer Karmaloop, tweeted that Kanye West's upcoming adidas collection will be available at his store in 2014. Following weeks of tirades that included direct shots at Nike CEO Mark Parker, Kanye conceded that he felt “honored to have had the chance to blow Yeezy up with Nike and I really appreciate everything they did for me." Following his first trip to Germany to meet with adidas, Kanye compared the experience to the very top moments in his life. The Details: In an interview with Stylz and Roman, Kanye claimed September of 2014 would be the launch of his line. Not even a month after their partnership was made official, Kanye claimed to have 20 shoes already designed. 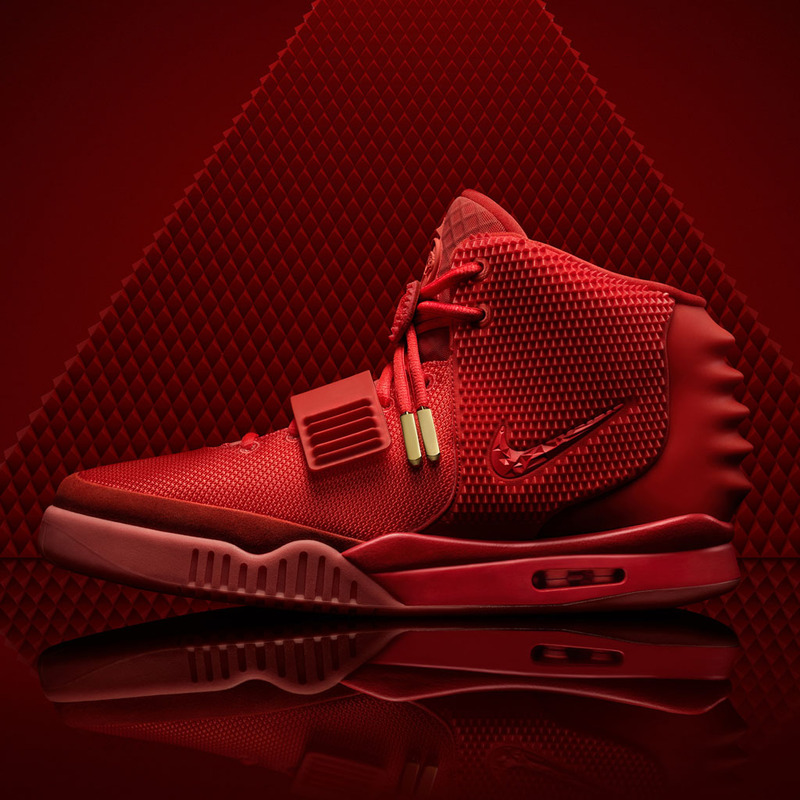 After 10 long months of suspense, the Red October Air Yeezy 2s finally launched, unannounced, on a Sunday morning. 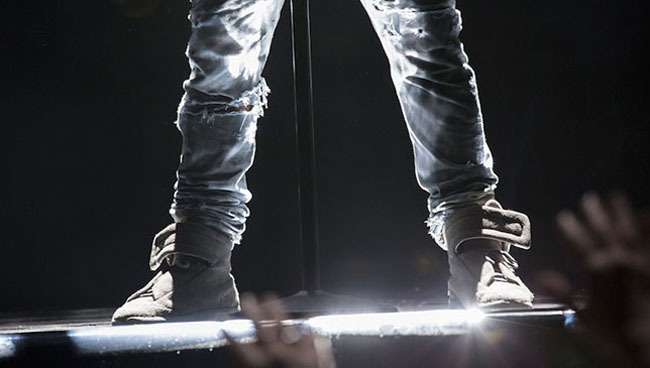 In response to many disappointed fans unable to secure a pair of Red Octobers, Ye claimed at a concert that his adidas shoes would be more widely available. 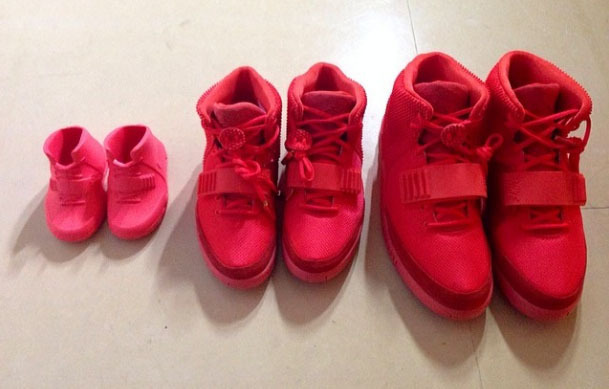 Despite her husband being signed to a different company, Kim reminded us of her husband’s involvement of the Red Octobers once again. Adidas continued their run of new partnerships by signing Bape founder, and one time Kanye collaborator, Nigo, who’s collection has already launched, despite not being announced until three months after Kanye’s. 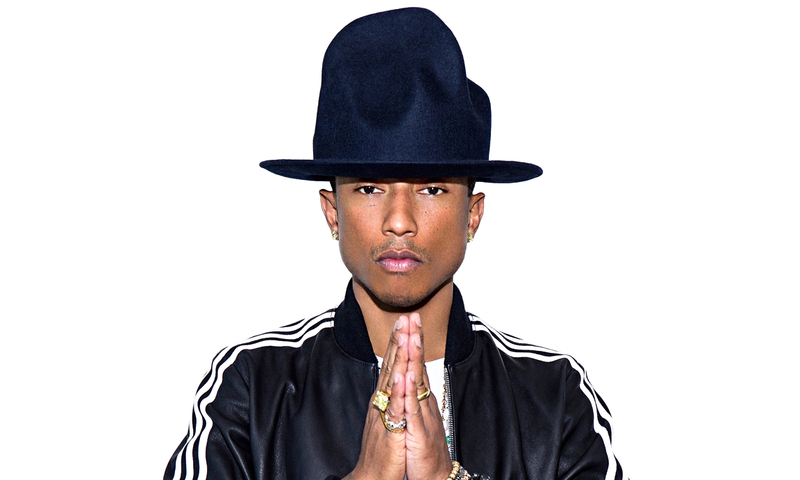 Another one of Kanye’s former associates, this one thought music, Pharrell Williams, was added to adidas growing lineup of high profile collaborators. Like Nigo, Pharrell’s collection has already hit retail. April Fools, courtesy of Sole Collector. This time around, West claimed a June unveiling of the “new Yeezy.” Spoiler alert: It didn’t happen. The Details: With his adidas collection still a mystery, the Red Ocobers continued to dominate Kanye’s sneaker coverage. Never a pair to shy away from taking credit, Ibn Jasper claimed that the shoe James Bond worked on for David Beckham was actually designed by Kanye, for Reebok, back in the mid-2000s. Really. 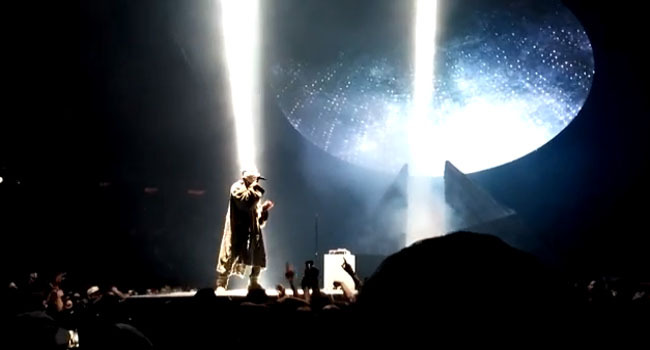 Adidas deal or not, West stuck to his Margiela sneakers for one of the years biggest festival performances. The shoe we now know as the adidas Tubular was briefly rumored to be a Kanye-related design. 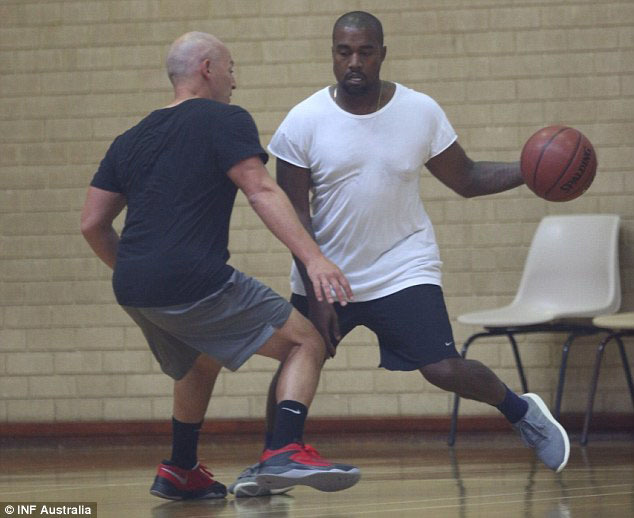 Along with some “matching” Nike socks and shorts, Ye hooped in comfy, yet not basketball-approved Pure Boosts this past September. Although it was quickly removed from Twitter, this image was around long enough to be captured, and give us a glimpse of what the upcoming Kanye x adidas insoles may look like. While the sneaker public still is awaiting confirmation that any sneakers will actually come from this collaboration, Reebok collaborator Swizz Beats revealed that he has seen it. 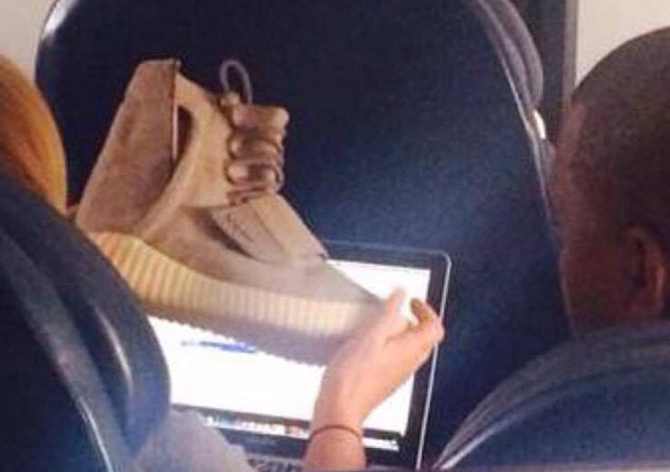 A new photo leaks, speculated to be a Kanye x adidas design. Rapper and Kanye collaborator Theophilus London claims to have had the upcoming collaboration on, as DONDA, Kanye’s design collective, made alterations. As TMZ captured Ye entering LAX, he told the camera crew he was on his way to China to work on the Yeezys. Confirmng what Kanye told TMZ, he was spotted in china just yesterday with Nic Galaway, who was recently connected to the adidas Tubular.